Apple's anniversary edition iPhone 8 will reportedly go on sale in October following its unveiling in September. According to the Economic Daily News, Apple will ramp up the production in time for the September unveiling of next-generation iPhones in September. This contradicts previous reports, which said the launch of the anniversary edition iPhone will be delayed by up to two months. The Economic Daily News claims there will be no delay in the launch of the new iPhones and Apple will be able to ramp up production from its suppliers beginning next month. Apple contract manufacturers Foxconn, Wistron and Pegatron are reportedly accelerating training and recruitment of workers for mass production of new iPhones. 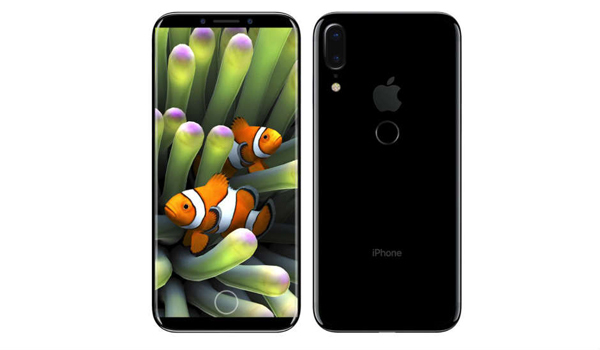 "Upstream to downstream suppliers in the iPhone supply chains, including Taiwan Semiconductor Manufacturing Company (TSMC), SLP (substrate-like PCB) makers Zhen Ding Technology and Kinsus Interconnect Technology, and battery supplier Simplo Technology, are ready to ramp up related iPhone parts starting June. TSMC will begin to fabricate the wafer starts needed for the production of A11 processors on June 10 and to deliver the chips in volume quantity in the second half of July, the report indicated," Digitimes reports. Japanese site Macotakara and KGI Securities' Ming-Chi Kuo earlier suggested the handset will be delayed by few months due to supply issues. The iPhone 8 was tipped to be unveiled in September, but go on sale at the end of December or early 2018. Kuo believes Apple will face severe supply shortage this year due to redesign and difficulty in sourcing components. Apple has reportedly planned a major redesign of its anniversary edition iPhone with stainless and glass chassis similar to the iPhone 4. The smartphone is rumoured to support wireless charging and a vertically mounted dual rear camera setup for advanced AR capabilities. The handset might drop the home button and introduce functional area below the display, similar to Touch Bar on the latest MacBook Pro.